Costa Rica has over 300 named beaches and plenty more that are tucked away and don’t have a formal name. With two coastlines, Costa Rica is definitely a tropical beach destination, among so many other things. When you visit this gorgeous country, staying on the beach is an absolute must. There are quite a few cool beach bungalows to choose from, and here are some of the most highly recommended. Hotel Shawandha Lodge is a truly divine bungalow retreat located on the South Caribbean coast just 656 feet (200 meters) from Playa Chiquita, near Puerto Viejo. Couples, artists, photographers, writers, bird lovers, and nature enthusiasts will find this 14-bungalow lodge to be a dream destination and a perfect home base. The lodge sits on five acres (20,234 square metres) of pristine secondary rainforest and is surrounded by lush gardens, the beach, and an inviting swimming pool complete with a waterfall. There are 100 species of bird and 200 species of plant that make their home here. 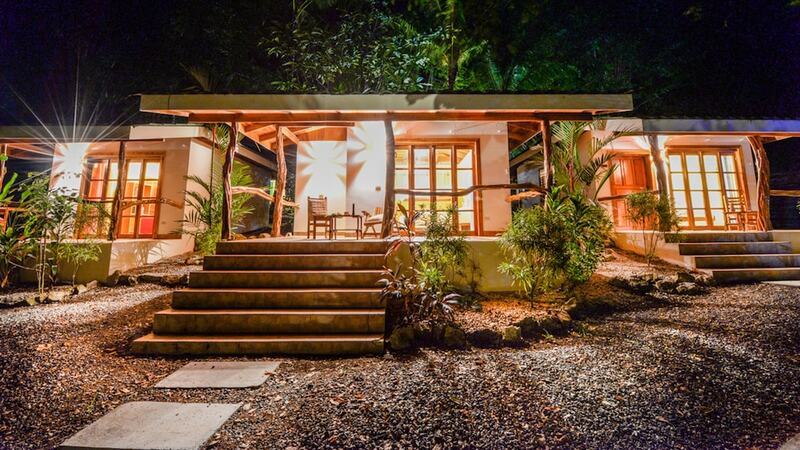 Makanas is a superior hotel in the quaint bohemian surf town of Santa Teresa on the Nicoya Peninsula. Makanas offers three different styles of affordable bungalows for families, honeymooners, or surfers looking for a comfortable and inviting home base. This is the perfect place to stay for those interested in surfing, doing yoga, horse riding, diving, fishing, sunbathing, or getting pampered at the spa in Santa Teresa. They even have a gourmet comfort-food restaurant and a cute little bar that serves up tropical cocktails, an impressive variety of beers, and wine. Hotel Mundo Milo Eco Lodge is just 1,148 feet (350 meters) away from the peaceful and uncrowded beaches of Playa Junquillal. There are five little bungalows, a pool, a restaurant, and a bar. This intimate and eco-friendly establishment is the perfect spot for those looking for peace and quiet, exquisite nature, and relatively empty beaches while still being close enough to a variety of tours, amenities, and other spectacular places to explore to the north and the south. The five bungalows are all designed in different world styles, such as African and Mexican. Sustainable eco-tourism is a top priority at Mundo Milo. They employ locally, recycle and dispose of their waste responsibly, and minimized their impact to the natural habitat of the local animals and plants during their construction. 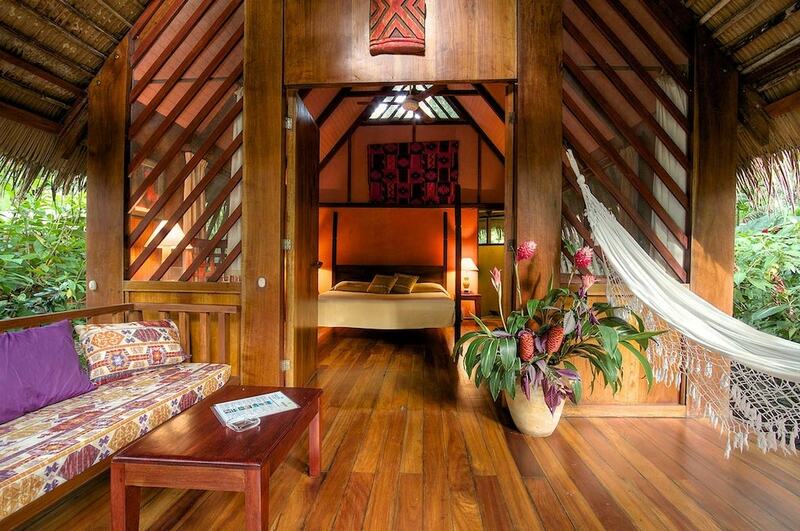 Hotel Mundo Milo Eco Lodge is truly a hidden gem! Pranamar Villas and Yoga Retreat is harmoniously situated steps away from the sea on Playa Hermosa in Santa Teresa. There is Balinese-inspired architecture, lush garden vegetation, hammocks strung between palm trees, luxurious accommodation, healthy, organic, and locally inspired and sourced meals, an open-air yoga studio, and a multiple-level swimming pool. This is the perfect place to disconnect from the unnecessary and reconnect with yourself and with nature. Cala Luna is a luxury boutique hotel and villas resort on the exclusive Playa Langosta just down the road from the world-renowned town of Playa Tamarindo. They offer guests multiple accommodation choices, including freestanding two- or three-bedroom villas complete with a full kitchen and a private swimming pool. Cala Luna is just steps away from the beach. They also have a beautiful gourmet poolside restaurant, an open-air yoga shala, and plenty of spa treatments, which you can receive in the privacy of your bungalow, on the beach, or in the spa bungalow. The location is ideal for those who want to be removed from the hustle and bustle of Tamarindo, but close enough to walk into town. Hotel Playa Negra is located in the small beach town of Los Pargos, just south of Playa Avellenas and Playa Tamarindo. This boutique bungalow hotel is right in front of the beach; you can’t get any closer. The hotel is made up of 17 beach bungalows and an open-air restaurant and bar. There is an oceanfront swimming pool and yoga classes available throughout the week. This is a peaceful and picturesque place to just kick back, relax, and enjoy beach life in Costa Rica. Cabinas Las Olas is on the beach side of the quiet and peaceful surf town of Playa Avellenas. Just a short walk on a wooden path through the mangroves and you are on the white sands of Playa Avellenas. Cabinas Las Olas is made up of several cozy cabinas that all have their own private patio and hammocks. Cabinas Las Olas takes great pride in their continual efforts to protect the native trees and animals of Playa Avellenas, and for this reason, when you stay here you are surrounded by lively nature. There is a restaurant and bar on site, which is ideal because there aren’t a lot of dining options in the immediate area. 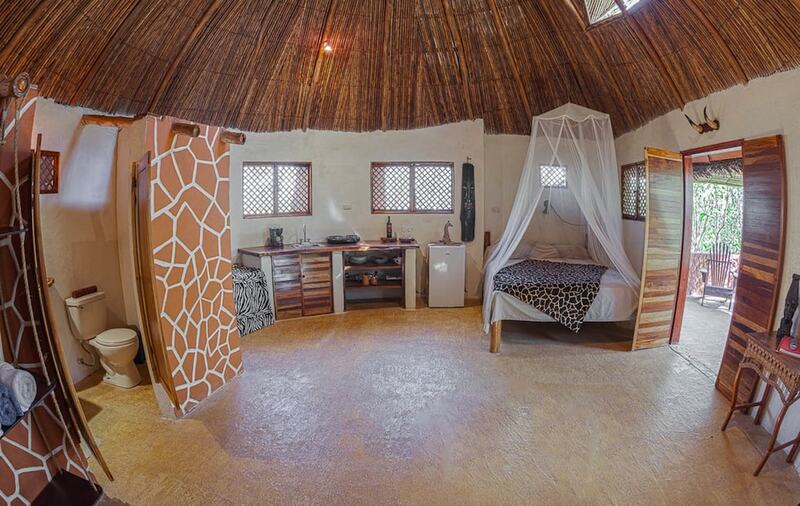 This is definitely the best place to stay when you stay in Playa Avellenas.